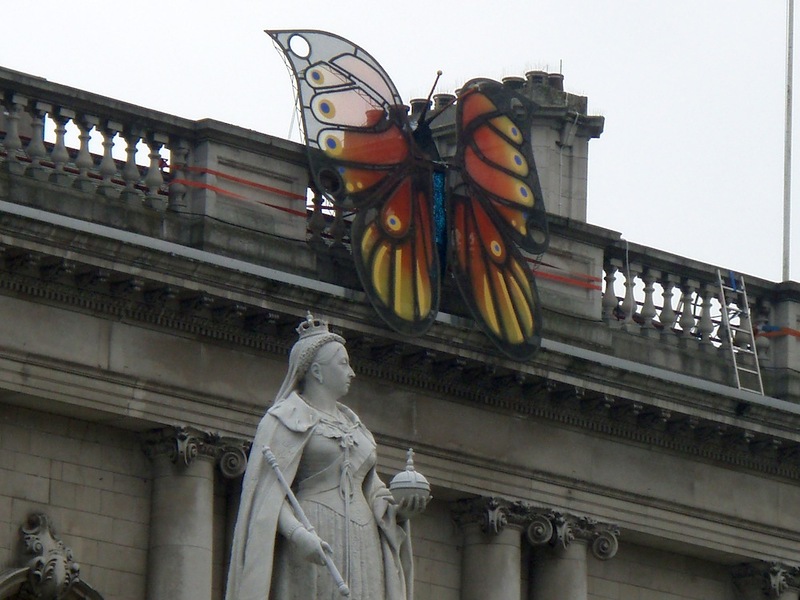 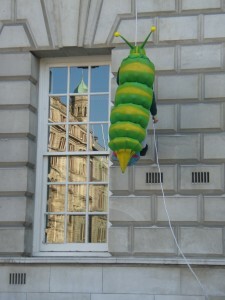 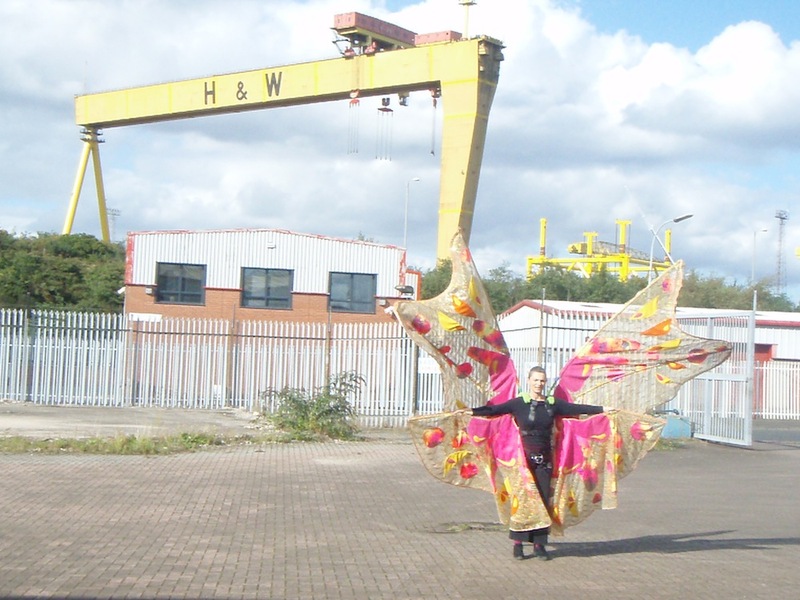 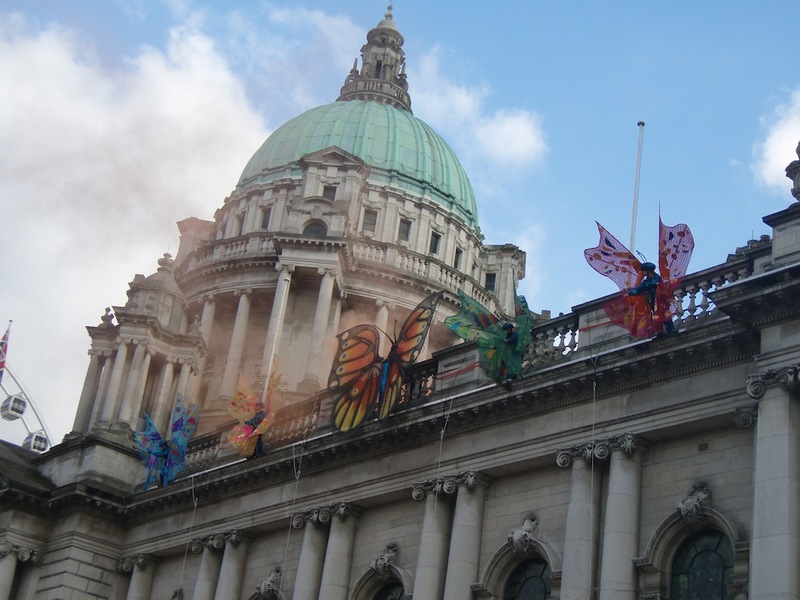 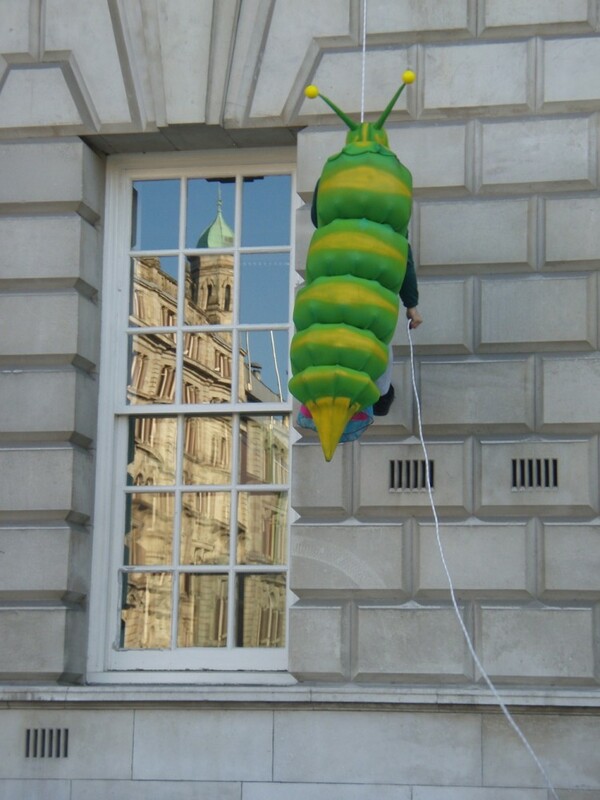 Fly Butterfly was a vertical dance choreography that formed the culmination of a carnival parade for the re-opening of the renovated Belfast City Hall. 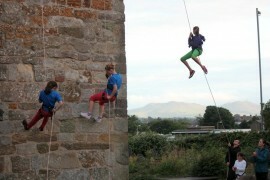 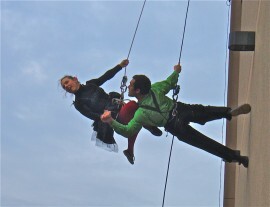 I was commissioned by The Beat Initiative, who had received funding from the Legacy Trust for the Cultural Olympiad, to train a group of circus performers, dancers, actors and gymnasts in vertical dance techniques and to choreograph their performance on the façade of City Hall. 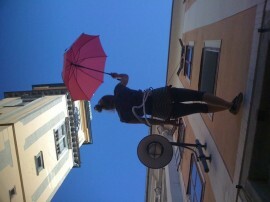 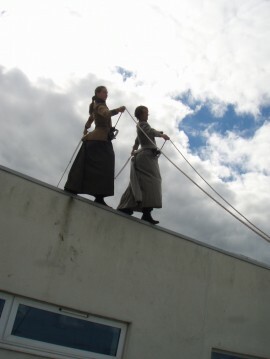 This training period was facilitated by Circus Bone Idle, with whom I have since worked on other projects.